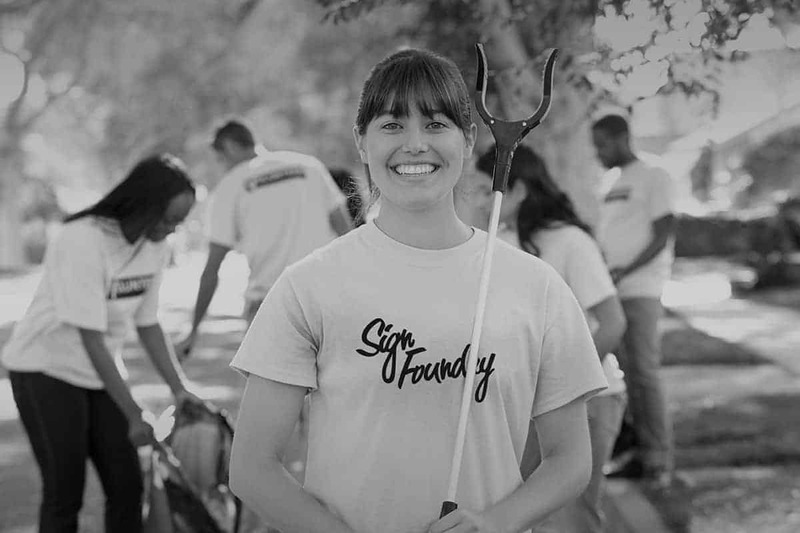 Sign Foundry giving lifecycle, get involved! Environment, Community and Local Business are important values, which we have built the Sign Foundry brand and business. We are committed to doing what we can for the environment through safe disposal of waste and energy efficiency initiatives; we focus our support of local business and our community through our supply chain and sponsorship. As a valued customer, we would like to involve you in this lifecycle of giving by donating a portion of our monthly income to a charity of our collective choice. When you receive an invoice from us going forward, you will see a link asking for your vote on the charities that are up for donation that month. Click the link and there will be a checkbox for you to tick – easy. There will only be one vote per customer. 2. What charities will you support? To share the love, we will support different charities each month. If you have ideas of charities you would like us to consider – please let us know over here. 3. When will this start? We plan to implement this strategy from 20th of August, so invoices as of next week will have a link in them for you to help us start giving. We are excited about furthering our commitment to our local communities and look forward to seeing the outcomes we can help these charities achieve.